Thank you for your interest in Doug Herren! We will respond to your inquiry as soon as possible. 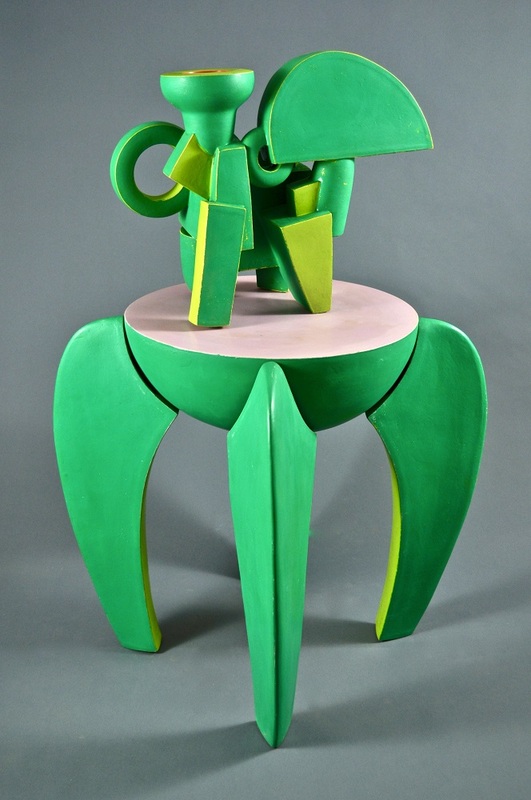 Peters Projects of Santa Fe is pleased to present the second exhibition of works by Doug Herren titled Tables and Sculptures, opening Friday, December 14, 5-7pm. 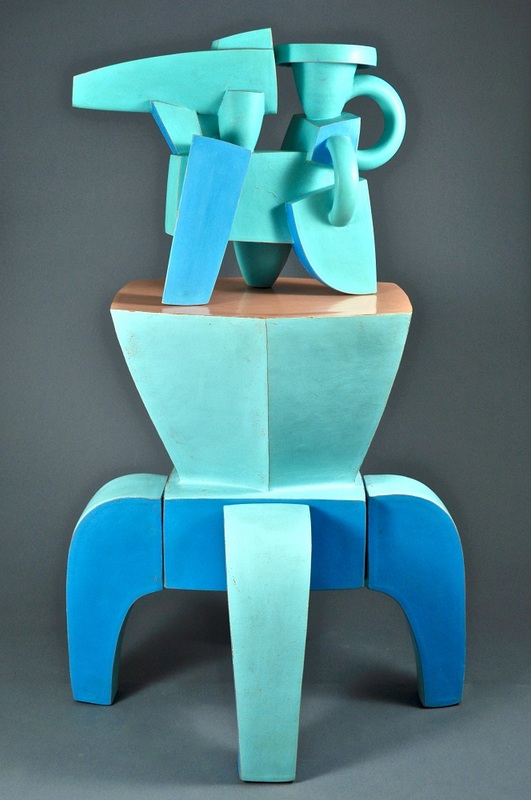 Two years ago Santa Fe embraced the unique ceramic sculptural works by Philadelphia based artist Doug Herren who has continued to make his combinations of ceramics, found materials, and at times, real nuts and bolts to create his works. 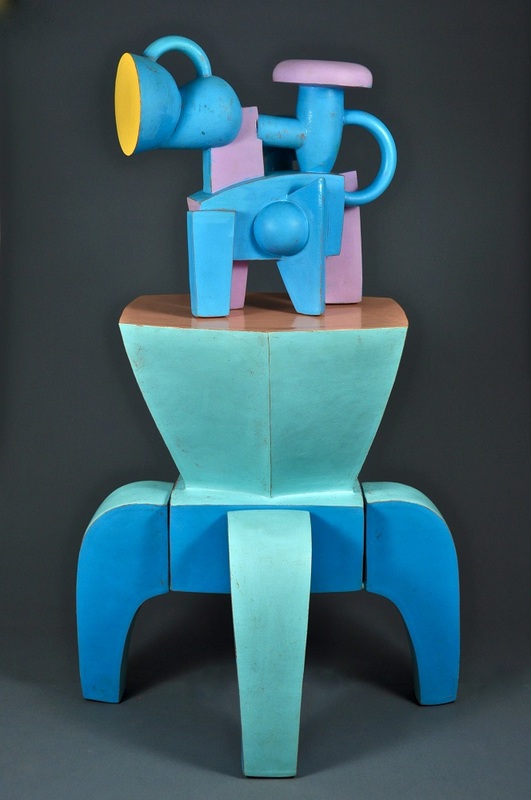 Herren works in two series, the first being his “Industrial” works which visually appear to be steel beams that came off the Brooklyn Bridge but are in reality sculpted clay, fired and glazed. These forms offer a sensation of actual steel welding with visible seams that are overtly mechanical. Most known of this series is the front desk at Peters Projects where it has attracted attention since it was put into the foyer in 2016. Herren’s alternate series are “Reductive” as the artist creates abstracted forms such as ewers, teapots and other vaguely recognizable vessel shapes and stands them on ceramic tables also made by the artist. Herren’s sense of color is always at play with these works which seem to have been born in a land of grapheme-color synesthesia. 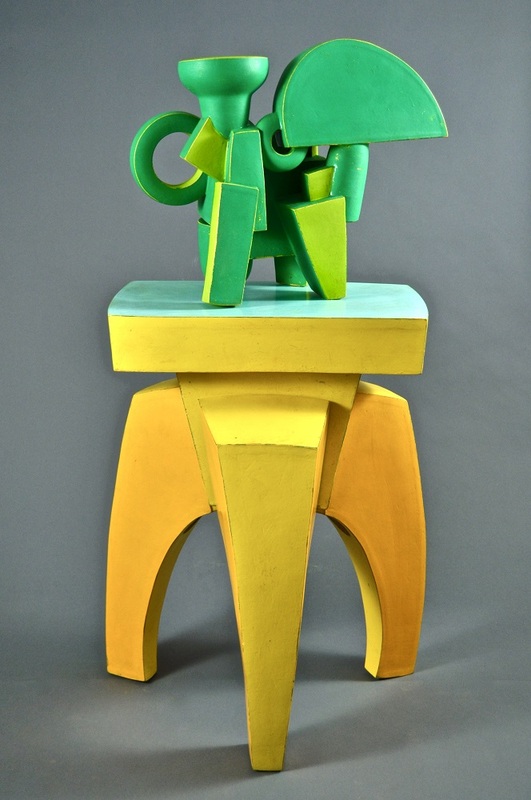 With these two bodies of works, Herren takes you both backwards in time and forward into the future with thrilling sculptural physicality. Doug Herren was born in 1962 in Pratt, Kansas and has a Bachelor’s of Fine Arts from Wichita State University, Wichita, KS and a Masters of Fine Art from Louisiana State University, Baton Rouge, LA 1992 and currently lives and works in Philadelphia, PA.Herren’s work is included in the collections of the International Museum of Ceramics, Faenza, Italy; the Yenggi Museum of Taipei; the Museum of Ceramics Quran, Alcora, Spain; Kamm Teapot Collection, Sparta, NC; Fuller Art Museum, Brockton, MA. Most recently an installation of Herren’s work was on display at the Philadelphia International Airport, Terminal A-West titled Industria/Ware.